When you are learning a language it is very easy to be misunderstood. For this reason I want to talk about “please”, “thank you” and “sorry”, without a doubt the three most important words in English communication. 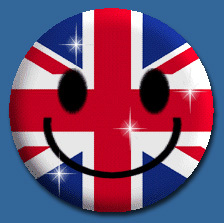 In English culture it is very easy to offend people by speaking to them without the proper politeness. You don’t say “sit down”, that would be an order! By saying “Please sit down” it becomes an invitation to join you. Often foreign travellers don’t know this and they encounter unfriendly faces or responses to simple questions like: “Where is the railway station?” or “Can we have a double room?”. It makes a big difference if you ask the same questions in a polite way: “Please, could you tell me where the railway station is?” (or even better: “Excuse me, could you please tell me where the railway station is?”) and “(Excuse me) can we have a double room, please?”. Without the please something is missing. If you enter a pub and order “a beer and a coke” it is possible that the bartender keeps looking at you because in his opinion you haven’t finished the order. It’s not that he is consciously waiting for you to say “please”, but he is expecting you to order something more like a bag of crisps. By saying “A beer and a coke, please” you make it clear that that will be all for the moment. And when it’s time to pay, you of course ask: “Excuse me, can I have the bill, please?”. Sorry is another essential word, especially in British English. Never say: “What?” or “What did you say?”. If you don’t understand people say: “I’m sorry?”, or: “I’m sorry, but I don’t understand”, otherwise it sounds really rude. A second situation in which the use of sorry is important is as an apology. Always say sorry when you bother people, even if you can’t help it. So for example when you pass in front of people in a cinema, or if you gently push aside someone’s shopping trolley in a supermarket, or if you’re leaning towards someone in an elevator in order to push a button. And don’t be surprised that when you by accident step on someone’s foot, he or she, so the victim, will withdraw his or her foot saying “sorry”! But please don’t forget too say so yourself too! Last but not least you have to use “thank you” a lot. It’s a very useful phrase when someone does you a favour. 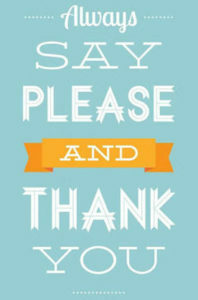 If you don´t say “thank you” people will think you have bad manners. So say “thank you” when someone gives you directions, when a waiter serves you your drink, when someone moves over in a full train to offer you a bit more space and when your landlady offers you a biscuit with your cup of tea. You will see, being polite is more important than speaking correct English. As long as you are polite people will forgive you your grammatical errors and make a bigger effort to communicate with you. Did you know that English is an official language in 54 countries and regions all over the world? Amazing, isn’t it! 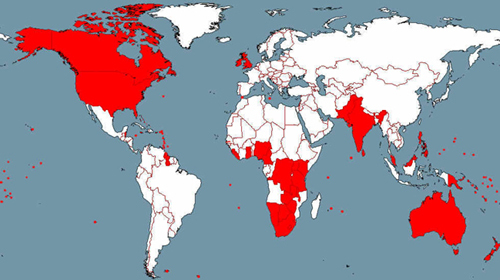 And in no less than 24 of these countries and regions it is the first language, also known as ‘native’ language. The 6 largest countries of this last group are the United States, the United Kingdom, Canada, Australia, Ireland and New Zealand, but for example Barbados, the Falkland Islands and Gibraltar are on that list too. If we only focus on the 6 largest English speaking countries, you will find lots of varieties of English because each country has its own version of English, with different pronunciation, vocabulary, grammar and spelling. The most famous being the differences between Standard American English and Standard British English. Here are some examples: “water” in the UK is pronounced as “wotu”, and in the US they say “wate”. A film in England is a movie in the US. An American will tell you “he ate too much”, whereas a Brit will tell you “he’s eaten too much”. Differences in spelling can be found in British words like “colour” and “metre”, which are spelled as “color” and “meter” in the US. This brings us to an important question: if you want to learn English, which version of English do you need to learn? It’s easy to answer for someone who for example only deals with clients in the US, but many people need a more general English because they travel all over or speak to all sorts of people on the phone. The best thing to do is to be consistent. Don’t mix different English varieties. This is especially true in exams: you have to stick to just one version. However, communicating in English involves more than just speaking a consistent language. You will have to understand the different regional accents too. The best way to train this is by listening, listening and more listening. Watch English films (and movies) in the original soundtrack with English subtitles, listen to your favourite music on Youtube with on-screen lyrics, listen to audio books or look for podcasts on the Internet. One very important thing to remember if it comes to understanding regional accents: don’t panic. Keep in mind that an Englishman from London has great difficulties understanding a colleague from Texas, just as a native Spanish speaker from Madrid has difficulties understanding some people from Argentina. But if both make an effort they will be perfectly able to communicate and that´s what language is about.